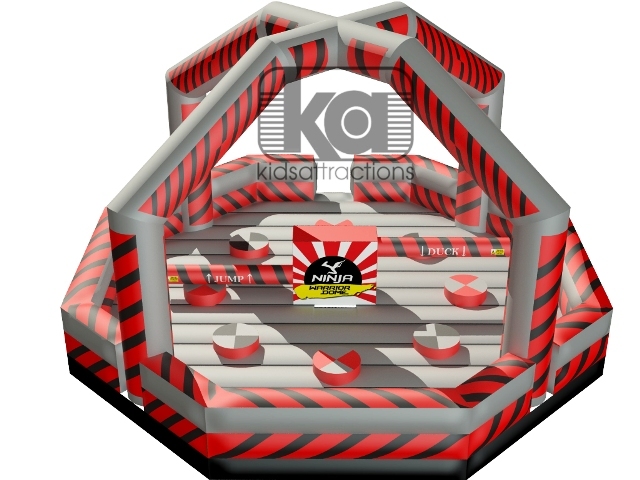 Our new Ninja Warrior dome is 2 games in 1 and can be used either as an 8 player wrecking ball game or an 8 player sweeper arm game complete as one package for $16,495.00 or without the Wrecking ball or arches for only $14,995.00. We build these games in bulk and decided to pass on the saving to our customers to take advantage of this spring sale before it ends. Only 3 left at this price for a limited time. 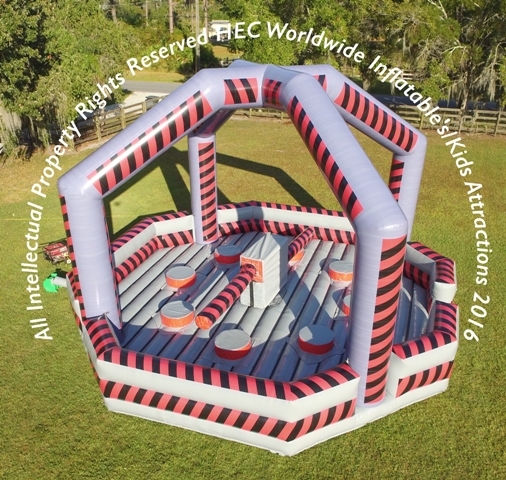 If you own or operate a Party or Event Rental Company, Family Entertainment Center, Amusement Park or Summer Camp and looking for a great way to generate revenue and provide entertainment for kids and adults than our Ninja Warrior Game is it. This game will make you money either as a rental item or as a pay for play. The versatility is great because you can switch it up at your indoor facility or offer your customers 2 different games with one investment. The center section comes with 2 removable banners so you can quickly brand this game for corporate clients or simply offer it with different themes adding another revenue stream to your company and keep you ahead of the competition. This game is perfect for ages 8 to adult and we have 2 color combinations available for this game. It comes standard with a ton of safety features including a height requirement chart printed on both sides of the front entrance, clear instructions printed on the sweeper's arm covers instructing players to "Jump" or "Duck" along with arrows indicating up or down action required, automatic torque control of the sweeper booms that stop or stall if someone lets it hit them or gets stuck, 12 RPM Max speed and instant stop feature of the spinning arms even at full speed. This game was designed, engineered and built by professionals from top to bottom with the customer's interest in mind using High-quality parts, precision fabrication, ease of use, protection of your investment during transit and more. This game is built for performance, longevity and to make you shine in front of your customers. 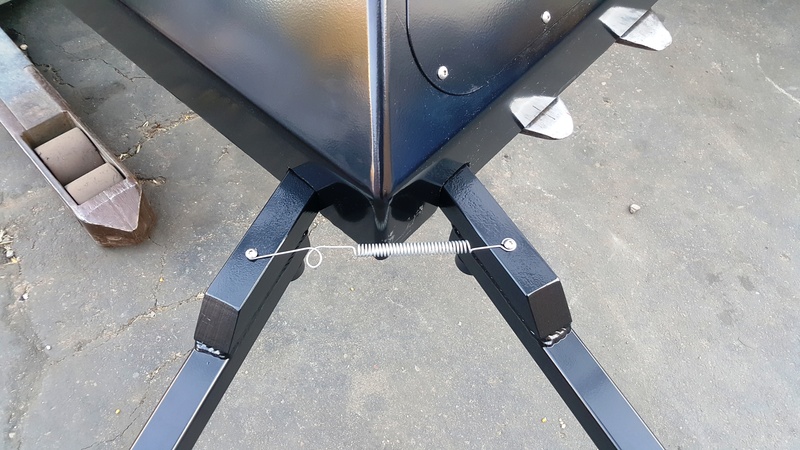 This game has a ton of features under the hood like heavy duty legs with rubber feet, compact lightweight control panel with protective road case included. 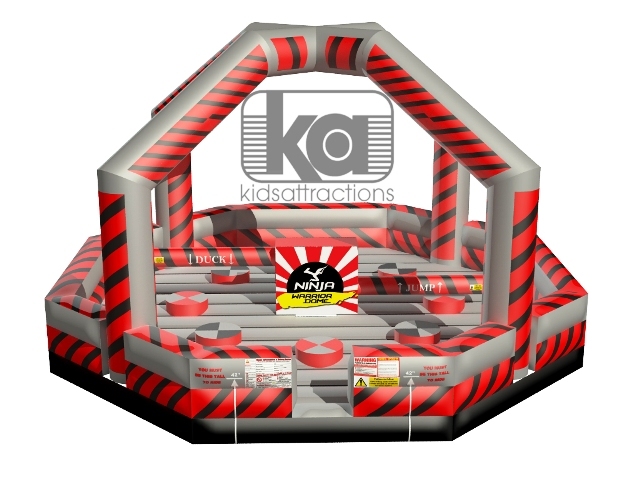 The Ninja Warrior Dome has super fast stops and many awesome features listed below. The powertrain comes with a full 3-year warranty including parts and labor. 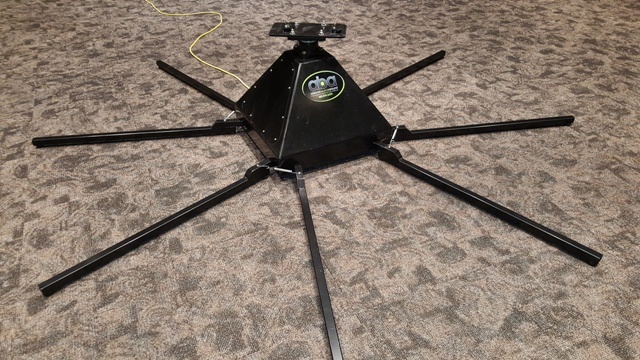 Our Ninja Warrior Dome requires no tools to assemble and comes complete with road case for the controller and storage bags for the pedestals and sweeper arms. This game can be set up in 30 minutes with 2 people. 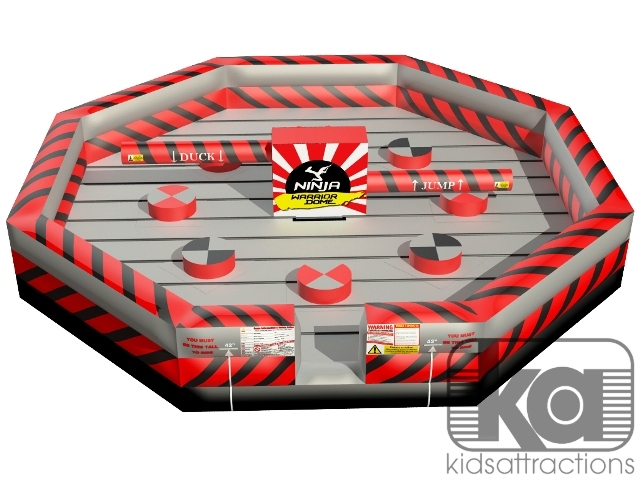 Our Ninja Warrior Dome ships on 3 pallets in a compact package designed to save you money. Some companies are charging for crates and oversized freight, special handling charges and more for unprofessional packing of your game. Call, Click or come by today for a complete quote including freight. Why settle for a basic sweeper game when you can have the best sweeper game available with a ton of upgrades for about the same price. Call other companies for a complete quote including freight, credit card fees, and any other hidden charges, then call Kids Attractions to order your game that will be in stock March 2017 ready for delivery so you can start making money and avoid baggage fees. Does the game come with a road case for the controller? Does the game come with protective bags for the foam pedestals and sweeper's arms? Does the game setup without tools? Is the game in stock ready to ship? Do you charge for crating or packaging the game? How much? Do we need to ship the game back to you in order to get service work done? 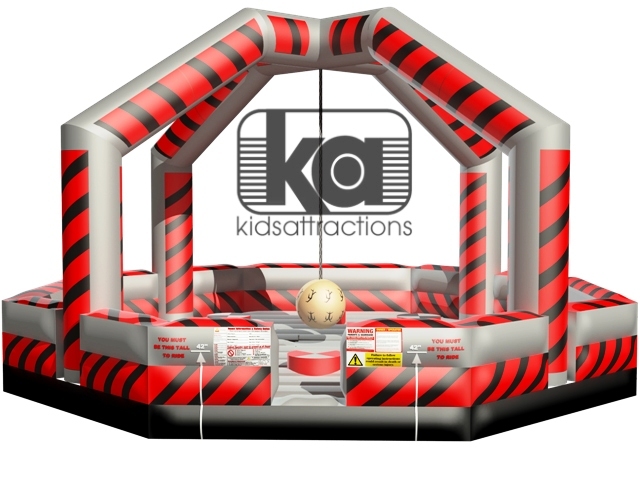 After you ask these few simple questions it will become obvious that Kids Attractions Ninja Warrior game it the one to buy and we work will many different finance companies to make your purchase possible. Does the electric motor stick out the side of the base to collect dirt, water, and rub on the inflatable? Our base is completely sealed. 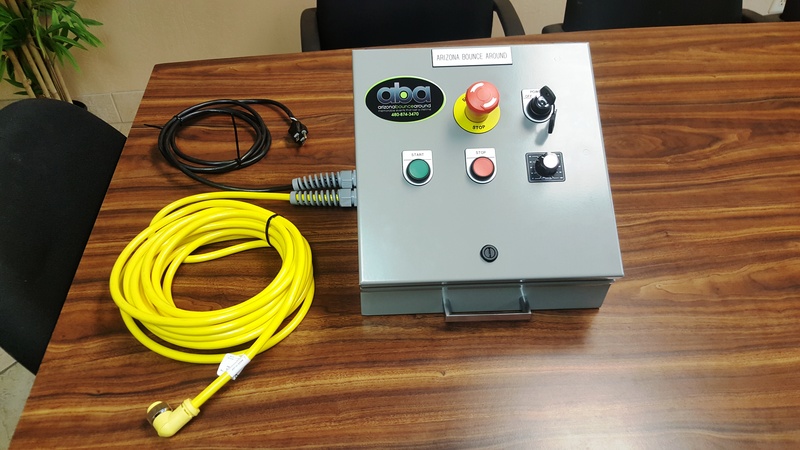 Are the power cords and control wires connected or separate parts? 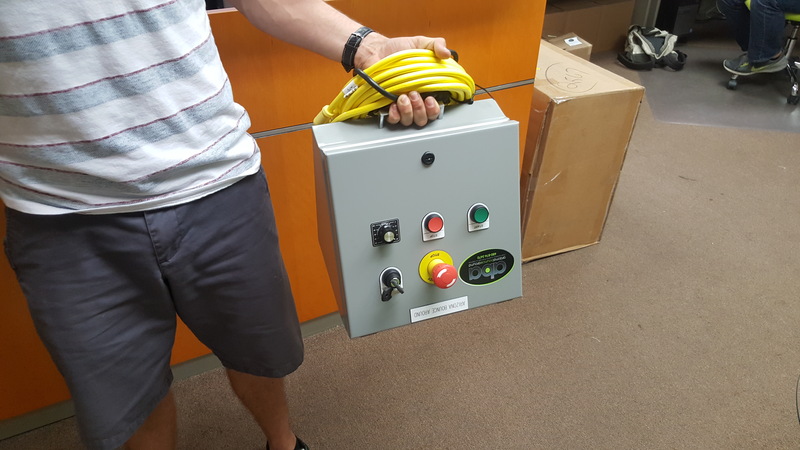 All of our wires are hardwired to the control box. Is the drive motor DC or AC? AC motors will not be ASTM compliant in the next year or so. We use DC drive components. This is just a few improvements we've made over the competition and don't forget you get 2 games in 1. These are serious questions to consider before making a multiplayer sweeper arm game purchase and we will be here to help you along the way. 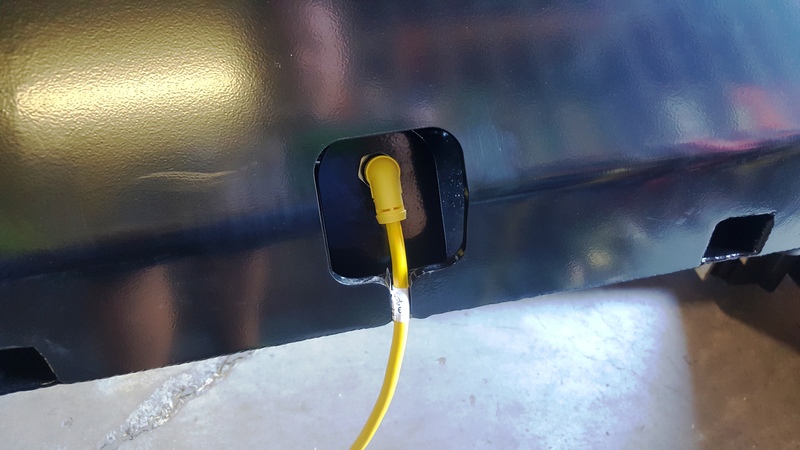 We also have a full parts department available online to order any part for the Ninja Warrior Game or any other products we manufacture for fast, easy repairs or to replace lost or damaged parts. Create an account with us online and ordering things from us is as easy as Amazon. The 2 photos above are just 2 of the color combinations we offer so call, click or come by today.